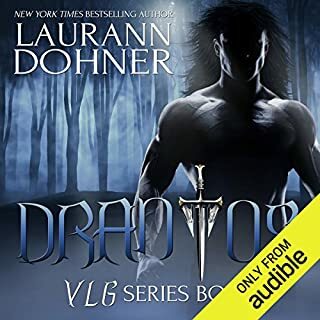 Deanna Dubois is as talented as she is independent, but she has developed a strange and terrifying habit: night after night, day after day, she sketches one horrifying scene after another - the body of a gorgeous male being tortured in hell by demons. Disturbed by her ever-growing obsession, she sets out to Dark Moon Vale to uncover the truth - only to find a web of danger, destruction, and deceit. Separated by space and time, yet drawn together by fate, Nachari and Deanna find themselves in an epic battle against evil. 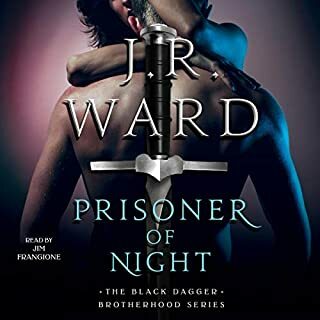 Nachari is forced to forge a path in a world of shadows, where torture and lust rule the night; while Deanna struggles to decide between two polar opposites - to flee from the truth or trade her mortal soul for the possibility of a stranger's salvation. And the only way to reach the light is to, first, enter the Blood Shadows. 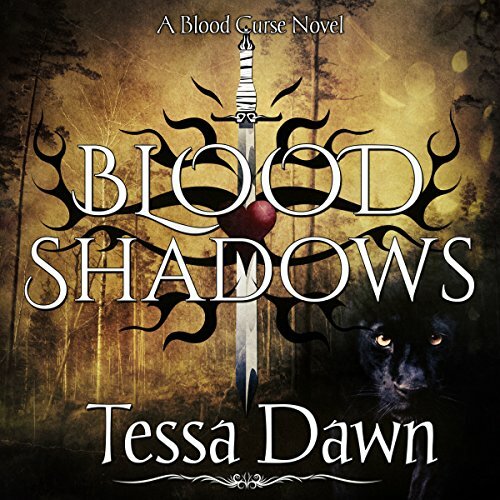 Would you consider the audio edition of Blood Shadows to be better than the print version? While nothing can replace print for me I did find this audible to add to my listening pleasure I can hear all the characters come to life and Nachari's story HAS to be listened too! I believe Deanna's first visions of Nachari got to me from the very beginning and her inability to "forget" him. I simply adore this entire series, I can't get enough, each book whether paper or audible continues to draw me in and keep me rivited. Would you listen to Blood Shadows again? Why? In a hot minute! This installment is captivating, the way the story spans dimensions is so incredible I was left speechless a few times. There was not one thing I could fault in this story. Yes, it's definitely dark and not a fairytale by any means however, it is beautifully written, captivating in every way and I will listen to it over and over. Wow, well it is so hard to pick just one because of how complex this story is and there are many moments that just jump off the page. If I need to choose one that sticks with me a little more than others, it's when Nachari wills himself to breech the confines of his imprisonment to go to his Destiny in her time of need. That scene was so moving and powerful!!! The man is a genius when it comes to voices and personalities, the way each character is unique and definable, Eric gives the book additional layers that really add to the story. And let's just mention that the man can sing!!!! What an amazing rendition, again, just brings a whole other level of enjoyment . Nachari, no hesitation. He has lived in hell, he can shape shift and he's Nachari! To be able to sit and not just look at the green eyed Wizard but, to be able to talk to him about some of his experiences, and his cars!!! He is such a great character. Kind and patient (learning to be lol) self assured and brilliant. It would be fascinating. As with the other installments of the Blood Curse Series, anyone who enjoys dark fantasy will not be disappointed. 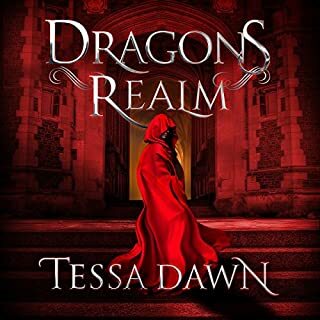 Tessa Dawn is a brilliant author, her ability to engage you right away and just hold you in the story is amazing. Eric compliments the story with his gift of narration. Worth buying! Love the part when Eric sings. Such a wonderful voice. I love the entire book but the ending is surprising, even after reading the book. This was such an amazing book. I get so sad when it announces the epilog. I didn't want the story to end. I can't wait for the next audible to come out. Tessa does such an amazing job.such a great story and amazing characters. Eric does a wonderful job bringing the characters to life. must read book and a must to listen to. I love to read and I have done so to the detriment of my eye sight….but luckily, and to the rescue there are audiobooks. The next hurdle I found myself in was finding great stories read by really good narrators. I would love it if I found more woman narrators that could read some of my favorite stories with the same punch and slam dunk as narrators like Phil Gigante, or Jim Frangione…but unfortunately I find many of their narration performances to be.. Breathy, flat and missing the mark in the art of pausing because the story calls for it, and not because there is a coma on the page. It has made me cringe and turn off many awesome stories I have already read and hoped would be a great listen. 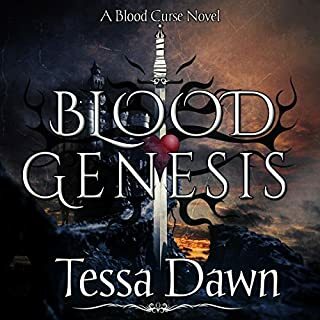 I have listened to Eric Dove do J.R Wards Fallen Angel Series, and Tina Folsom’s Scanguard Vampires and loved them…but the combination of Tessa Dawn’s writing in the Blood Curse series paired with Eric Dove’s narration is Freak-en Awesome. I am not going to waste time telling the premise of the story, because others have already done that. I will say that I have laughed, cried and been pissed off at some of the characters as if I was sitting in front of a screen watching this crazy story play out. I have had to pull my car over because I was laughing so hard at Marquis Silivasi scaring the HELL out of what was left of a biker gang on his front lawn in book two “Blood Awakening” . It is a combination of good writing and great narration….. read to perfection. I cannot wait until another one is released. Great job Ms. Dawn and Eric Dove….damn…he hits this story out of the park and it will be ruined if anyone else takes over this story. There are not many narrators who can read a story so well that they make you forget about the person reading the story and transport you into the story. Jump on this series you will love it. Wow. This saga keeps getting better and better. This book really brought a good story to life. Best Yet - and drooling for more!!! Absolutely - I've always loved Unchained Melody - but this was the first time I got shivers down my spine hearing it!! What a great story!! And Eric G. Dove again delivered the stellar performance I've come to know from him! Marquis is still the standout for me. Everyone knows that beneath his ruff gruff exterior lies a heart of gold and a an iron protectiveness of those he calls his own. Maybe because he reminds me much of my own HEA - but he continues to command my attention and allegiance in any scene he's in and I find myself waiting/second guessing to see his reaction to any given situation. It's a toss up between a 'broken' radio - and an extended dream with a gratifying end. Both speak to the connection between two souls that far exceeded the one between the two minds. yes - but regretfully life prohibits that! I get a cupla hours a day at best while driving to work - maybe more on weekends. Eric G. Dove also does another popular vampire series - which also has a special place in my heart - so when i realized he was this series I knew it was going to be a phenomenal read! And he did not disappoint!!! AND - he can sing! Who knew!?! With that, I saw on Tessa Dawns website that she expects the rest of the audiobooks to be released by the end of 2015 - Couldn't be fast enough for me! !